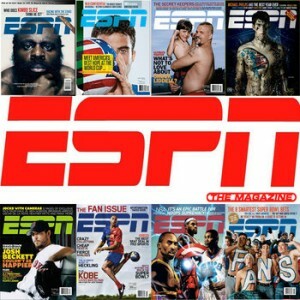 $3.99 For ESPN Magazine Subscription Through 12/16 | A Savings WOW! Here’s a great deal on Tanga for a 1-year subscription to ESPN magazine (26 issues). Normally, $103.74 per year, you can get a subscription for only $3.99 per year when you use the coupon code ESPN at checkout through December 16th at 8:59 PM CST. ESPN The Magazine is the sports lover’s magazine with an edge, offering more fantastic color photos, easy-to-read articles, in-depth interviews with stars, stats, game coverage and more in a timely, twice-monthly format. Order your ESPN magazine subscription for only $3.99 today!